Critics of the Republican health care plan the House passed last week mostly have focused on how it might harm Americans with pre-existing health conditions and poor and disabled people who rely on Medicaid — two vulnerable, but defined, populations. But another change might have more far-reaching effects: eliminating the Affordable Care Act’s “essential health benefits,” or EHBs. That shift could affect almost everybody, including the 156 million Americans who receive health coverage through their employers. 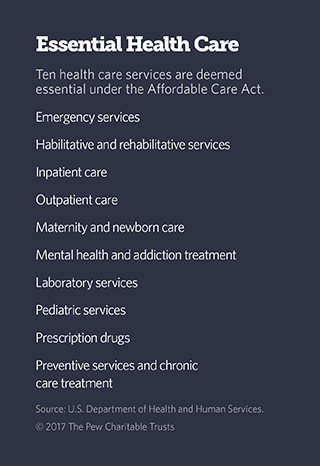 Under the ACA, health plans sold to individuals and small groups (employers with 50 or fewer employees) must include 10 essential benefits: emergency services, habilitative and rehabilitative services, inpatient care, outpatient care, maternity and newborn care, mental health and addiction treatment, lab tests, preventive care, prescriptions, and pediatric services, including oral and vision care. Plans offered by larger employers do not have to include all 10 essential benefits. However, if the plans cover any EHBs, they cannot impose annual or lifetime limits on reimbursements for those expenses. The House GOP plan would eliminate the federal mandate under the ACA, and instead give states the power to determine what health plans sold on the individual and small group market must cover. Insurers would be free to sell cheaper, bare-bones plans to young and healthy consumers who don’t think they’ll need certain benefits. Many of those consumers would end up paying less for their health insurance. Supporters of the GOP plan say it makes little sense to force people to pay for services they don’t want. Why, for example, should a single man have to pay extra for a policy that covers maternal health care? “That is a commandeering approach to health insurance which those of us on our side find objectionable,” said Edmund Haislmaier, senior health policy research fellow at the Heritage Foundation, a conservative think tank. But for people needing broader coverage, the change likely would mean higher premiums and fewer choices. It also would force people who opt for bare-bones coverage to pay out-of-pocket for services they unexpectedly need. The change would affect even those who receive coverage through their employers, because the prohibitions on annual and lifetime caps are tied to the essential benefits. A late amendment to the GOP bill, which now moves to the Senate, would allow large employers to choose benefit packages from any state, instead of being bound by the rules in their home state. For example, an employer looking to cut its insurance costs could choose to follow the rules of a state that had made hospitalization nonessential. The employer could then impose annual or lifetime limits on reimbursement for hospitalization — something barred under the ACA. “The quality of health insurance will vary widely from state to state, as would the depth of those services,” said Michael Williams, director of the Center for Health Policy at the University of Virginia. The Republican proposal has drawn opposition from many prominent health care groups, including the American Medical Association, the American Hospital Association, the American Academy of Family Physicians, the National Alliance on Mental Illness and the American Diabetes Association. Some Republicans, including U.S. Sen. Susan Collins of Maine, have objected to the elimination of some EHBs, especially addiction treatment services at a time when her state, like many others, is facing a crisis of opioid addiction. Even the insurance industry, which might be expected to welcome the increased flexibility it would have under the GOP plan, has been circumspect about the question of EHBs. Kristine Grow, a spokeswoman for America’s Health Insurance Plans, the lobbying arm of the commercial health insurance industry, said the group has taken no position on whether they should be scrapped. Most health care policy analysts are adamantly opposed to scrapping the essential benefits mandate, fearing a return to pre-ACA days when most plans offered on the individual market provided bare-bones coverage or high deductibles and copayments. Pollitz said the elimination of the essential health benefits would cause a cascade of negative effects, both for people who opt to purchase the bare-bones plans and those who opt for more comprehensive coverage. For the latter, premiums would go up, because insurers could no longer spread risk across a broader pool of beneficiaries. As an example, Pollitz pointed to maternal health care, which most pre-ACA individual policies did not offer. If insurers were not required to include it, only pregnant women or women who hoped to become pregnant would opt to pay more for policies that included that benefit. 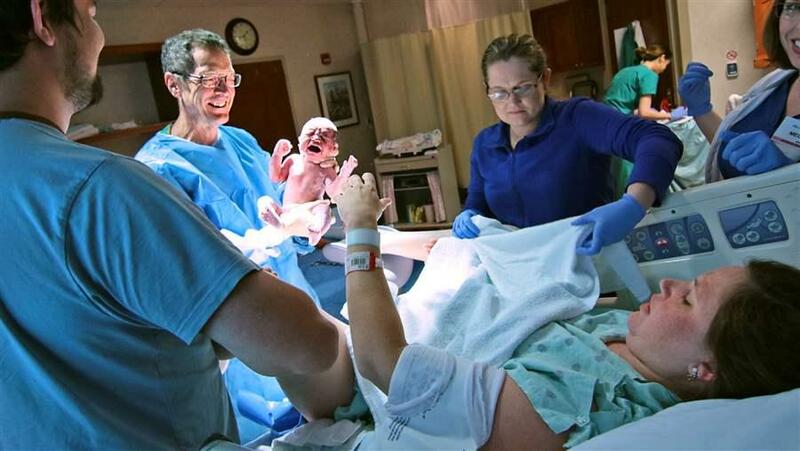 Because nearly all of them likely would use it, the premiums for such policies would be extremely high, probably “pretty close to the cost of labor and delivery themselves,” Pollitz said. Pollitz and other critics also contend that eliminating the essential health benefits would undermine the popular ACA provision requiring health insurers to accept policyholders with pre-existing health conditions. House Speaker Paul Ryan recently called the Republican bill a “rescue mission” to provide affordable health insurance, “especially and including people with pre-existing conditions.” Opponents note, however, that the bill would reduce ACA subsidies that help people pay for coverage. The reduction of the subsidies, coupled with the end of the essential benefits mandate, would make it difficult for many with pre-existing conditions to find and afford the kind of coverage they would need. “The reality is that if states strip out the [essential health benefits], that could very well take out the very services needed to address that pre-existing condition,” said Molly Smith, senior associate director for policy development at the American Hospital Association. That could hit hospitals hard, since presumably many of the people who would go to hospitals for care not covered by their insurance would be unable to pay for it out of their own pockets, leaving hospitals to pick up the tab. Williams of the University of Virginia pointed out another problem hospitals could face if the essential health benefits are jettisoned: Patients who are ready for discharge but not yet capable of returning home may no longer be covered for treatment in rehabilitative or skilled nursing care facilities. In those cases, Williams said, hospitals would be reluctant to discharge them, leading to longer and more costly hospital stays. The slower turnover might cause a shortage of beds. This entry was posted in AHCA, American Health Care Act, Congress, Health Care, Politics, Pre-existing Conditions. Bookmark the permalink.